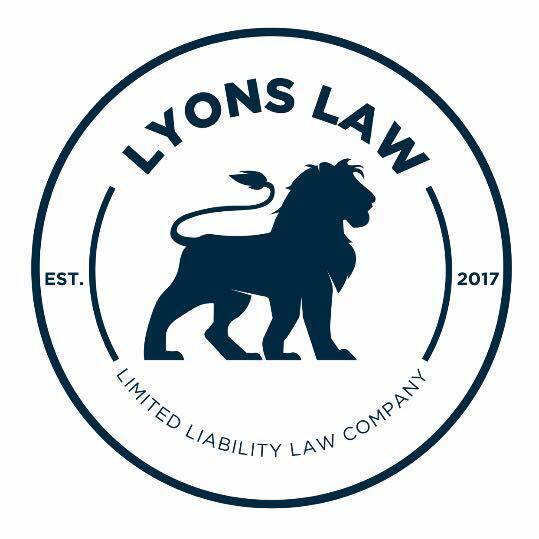 We're welcoming LYONS LAW LLLC. to the UP Family. Services include branding, public relations, marketing strategy, web design and social media maintenance. The #LITTERFREEWAIKIKI campaign with Collections of Waikiki is the perfect example of when community work meets social media. Coordinating a beach clean up is more complicated than most people realize. From liability insurance to marketing and outreach, it's a production. As a social media strategy for Collections of Waikiki, we've reduced the overhead to make a bigger community impact among the individuals. Prize incentives, social media posts, and an overall branded message is the heart beat of the campaign. You've done good, and should be awarded, enter our #LitterFreeWaikiki contest by posting a photo of your beach clean up efforts and you will be entered to win a $100+ value prize. WE'RE PROUD TO WELCOME WAIKIKI YOKOCHO TO THE UP FAMILY. LOCATED IN THE WAIKIKI SHOPPING PLAZA, THIS EATERY BOASTS AWARD-WINNING JAPANESE RESTAURANTS. CHOOSE FROM DELIGHTS SUCH AS MADE-TO-ORDER TEMPURA, RAMEN, SUSHI, AND IMPORTED JAPANESE WHISKY COCKTAILS. ABOUT WAIKIKI YOKOCHO Walking through a “Yokocho” in Japan you will find a maze of narrow alleys lined with restaurants vying to pull you inside with their energetic sights and aromatic smells of their best dishes. With so many choices one can’t help but wanting to “hashigo” or to “hop” from one restaurant to another. This traditional Japanese experience is combined with modern design, and Hawaii's ALOHA. H3 TRAFFIC GOT YOU JAMMIN WITH LAMAR, AND THEN ALL OF A SUDDEN- TRAFFIC KILLS THE VIBE. LET'S BE REAL; TOO MANY DRIVERS GOING EVERYWHERE AND NOWHERE AT THE SAME TIME. HOW CAN WE KEEP THE GOOD VIBES GOING? HOOOOOO BRAH WE GO OFF DA GRID. HUNT PIGS LADDAT. SHOOOOOOOOTS. 'NUFF SAID. This summer, Urban Pacific Communications will be hosting a Social Media Series with different topics that affect our every day use of social media. Whether you're a parent concerned about the safety of your child, or a small business hoping to attract new customers - we've got a workshop that could help teach you new skills. Each workshop is approximately two hours. Attendees will be given a brief overview, social media facts, and will leave with tips and tools to help achieve their goal. A hosted breakfast of pastries, fresh fruit, cold-pressed juices, and freshly brewed coffee accompany the experience. Because the workshop is held at a private, professional club, we request that you wear professional attire. No jeans, slippers, shorts, or cut offs. THANK YOU! With the right training and enthusiasm, social media in the work place can be a positive thing. However we highly recommend a business assessment to gauge whether or not you should implement a social media policy within your company. 1. Do you have trust worth employees? 2. Are you in retail or sell a specific product? 3. Are your employees already competent in social media skills? 4. Is social media currently used in your field? 5. Do you have the time and resources to manage your employees social media use? If the answer is YES, contact us for a quote on a social media workshop. Urban Pacific Communications provided marketing services to the developers of the famous Coco Palms Resort on the island of Kauai. The scope of work included strategic planning, website design, media relations, community relations, creating content and advertising. Without the actual hotel structure, Urban Pacific Communications used creative thinking and produced a lifestyle video and advertising for their investment campaign and to share the vision of what Coco Palms will offer guests. Sometimes thinking "OUTSIDE THE BOX" can seem overwhelming. Especially after years of a of success with your current marketing plan. One unique industry that seems to be changing is REAL ESTATE. Those old mailers and door hangers are OUT and 3D renderings, drone shots, and unique graphic designs are IN. We found a great blog post on unique "OUTSIDE THE BOX" ideas for agents here. Now that you've figured out how to capture their attention, let's take marketing one step further. How do we sell them at the OPEN HOUSE? And is an OPEN HOUSE the answer? Want some unique marketing ideas for your real estate company? Send us an inquiry and we'd be more than happy to help you think OUTSIDE THE BOX.